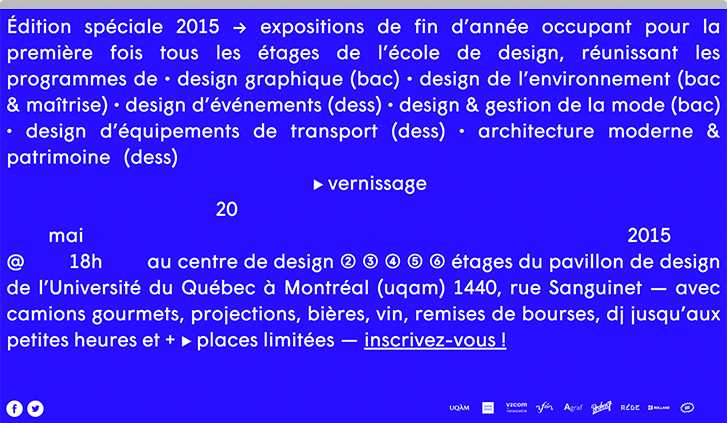 End of year design graduates exhibition from the Université du Québec à Montréal. 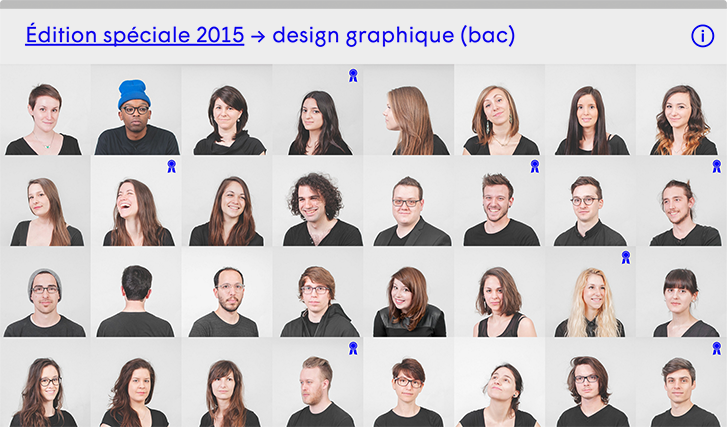 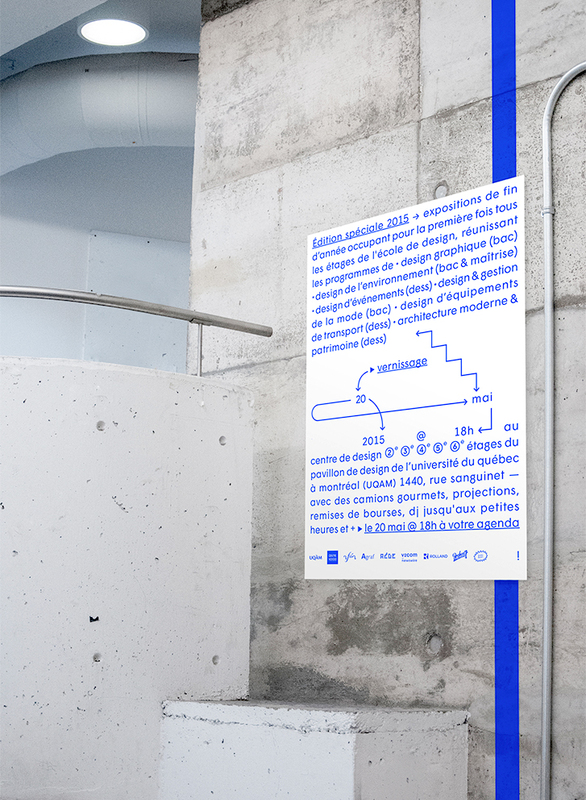 This special edition simultaenously regrouped for the first time every academic program from the school of design. 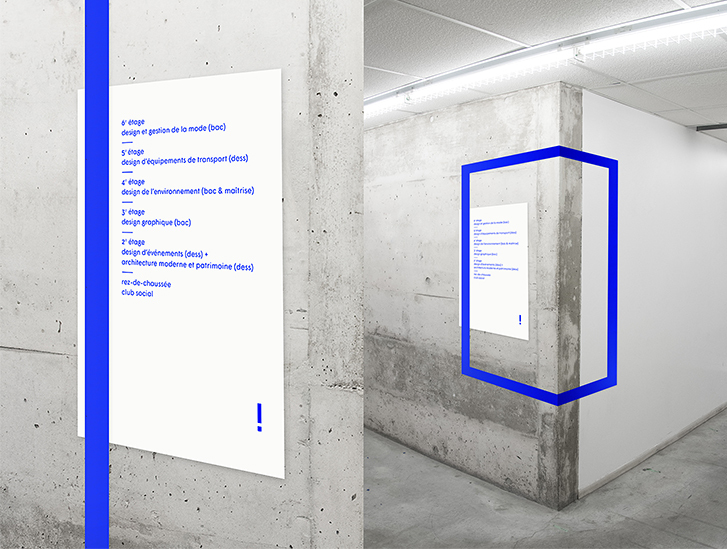 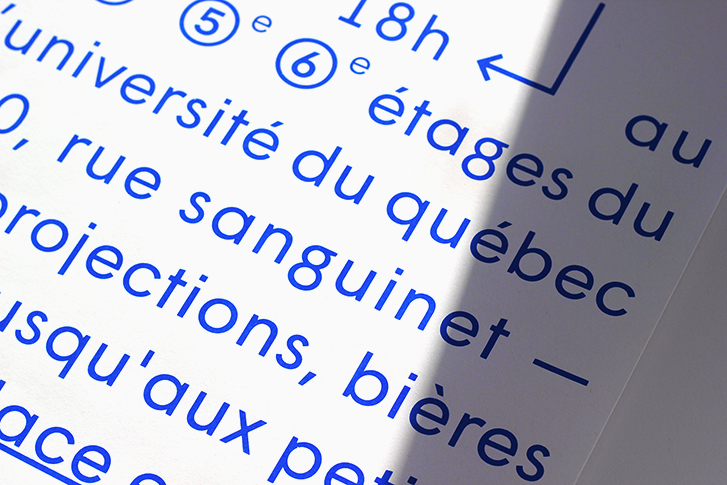 Wigrum Regular is the foundation for this flexible identity, designed to develop on top of an unstable and ever-changing situation caused by a student strike.